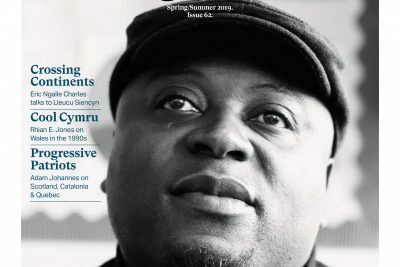 Cenric Clement-Evans is the founding member of the Right to Know: Asbestos in Schools Wales Campaign and a campaigning lawyer at NewLaw Solicitors. The Campaign’s petition can be accessed here. It is almost a school year since Cwmcarn High School was closed as the result of the presence of asbestos in the school. There remains considerable controversy as to the risk posed by that asbestos, with the conclusions of the two asbestos consultancies wholly at odds with those of the Health and Safety Executive. The decision to close the school and spend a reported £1 million on the removal of asbestos, was taken with the safety of children and teachers in mind. Yet, is Cwmcarn an isolated case? BBC Wales survey findings in October 2012 that about 85 per cent of Welsh schools contain asbestos, would suggest it isn’t. People working and studying in schools across Wales are still likely to be at risk. Over 228 teachers have died of mesothelioma in the UK since 1980, with at least 140 dying in the last ten years. An unknown number of cleaners, administrative staff and caretakers have also died. It’s not known how many children have died, but in the USA it is estimated that for every teacher who has died nine children will later die. There is no right enshrined in law for parents or guardians to access information about the presence and management of asbestos in schools. In the days of freedom of information, is this acceptable? Shouldn’t all parents, teachers and all others working in our schools have a right to know if there is a risk from the presence of aged asbestos in school buildings? Shouldn’t it be easy to find out whether schools have an up-to-date asbestos register and whether it is being managed responsibly? There is no formal guidance issued by the Welsh Government for the management of asbestos in schools. Yet the Guidelines published by the Department for Education in England last autumn could easily be adopted in Wales. What we need is the establishment of a national online schools’ asbestos database, to allow parents and teachers to check with ease whether asbestos is present at any given school and view its management plan at the click of a button. The Right to Know asbestos campaign (here) has the backing of of AMs across the parties, together with trade unions representing those working in schools, including NUT Cymru, NASUWT Cymru, UCAC, ATL and Voice and also GMB, UNISON Cymru/Wales and the Joint Union Asbestos Committee. The campaign also has the support of cancer charities Tenovus and Macmillan Cymru together with the Wales Cancer Alliance. I have written to the First Minister referring him to a recent report by leading experts on the Committee on Carcinogenicity that concluded children exposed to asbestos are more vulnerable to developing mesothelioma than adults as a result of the longer latency period of the disease. Their report states that a five-year-old is five times more likely than an adult of 30 to develop mesothelioma if they are exposed to it at the same time. The First Minister’s reply offered no further commitment from Welsh Government to examine the issue. Yet, in light of the same report, the Department for Education in England intends to carry out a review of its policy on asbestos in schools. We believe there is no earthly justification for failing to follow suit in Wales. Wales TUC President David Evans has said that Welsh Government has a moral responsibility to ensure that our schools are safe places for our children and for those working there. We urge the Welsh Government not only to acknowledge the lack of information available to parents and those working in schools, but to establish a database to allow easy access to this information. Adam Fletcher explains how the new school curriculum can make Wales a nation of lifesavers – and why change needs to start now. Where now for degree apprenticeships in Wales? Kieron Rees looks at the rising demand for degree apprenticeships in the UK, and how people and employers in Wales can benefit from an increase in the number of courses on offer. But yeah, thanks for spending time to discuss this matter here on your blog.